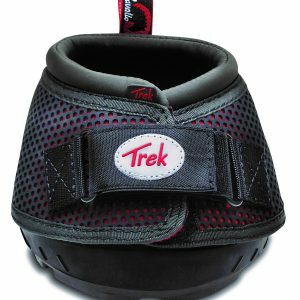 Trek Regular Sole Hoof Boot for Horses- Cavallo's #1 Selling Hoof Boot! Yesterday I went for an eight mile mountainous trail ride with the new SIMPLE Hoof Boots. A break-in time for boots is usually recommended; however, after four hours of ride time there was no rubbing from the boots at all. I was very happy with how the Simple Boots are designed and function. 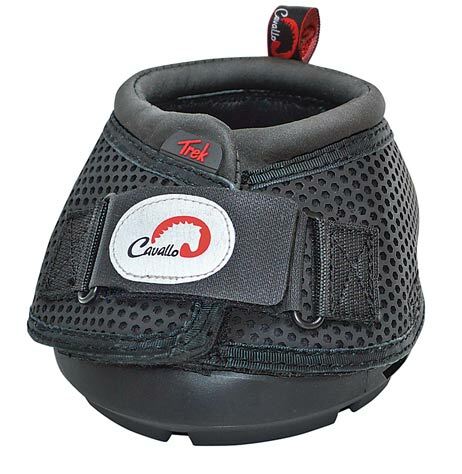 They do not come off while riding even rough and rocky terrain, but they are easy to put on and take off. They are a great product at a reasonable price. I also love your new Ride Fly-Free Mask.